The Ski season is coming to an end with a fun Easter day and yet still great skiing. Don't give up yet come back to Stratton for one last blast! If you come up DO go to Verde at Stratton. They have a new chef cooking and the food is wonderful. We had dinner llast Saturday with wonderful fried green beans as an app and followed with a scallop dish with a wonderful mix to textures and flavors. This was followed by warm beignets and icecream and a wonderful creme Brule. Celebrate the end of the Ski season with a wonderful dinner. Don't forget to buy your discounted season passes at Stratton before the end of April! Continued stock-market gains and low interest rates drove sales of vacation homes to the highest level on record last year, putting one segment of the housing market above its prerecession peak. The National Association of Realtors estimates that vacation-home sales amounted to 1.13 million properties last year, up a robust 57.4% from 2013, which itself marked a 30% increase from 2012. Last year's estimated tally topped the previous high from 2006 to become the biggest year for vacation-home sales volume since the Realtor association started tracking the market in 2003. Vacation homes accounted for 21% of all sales last year, the highest share since the survey's inception. The small sample size of the Realtor group's survey, which was based on responses by just 1,971 people who bought U.S. homes in 2014, led some economists to posit that the results might be exaggerated. Mark Zandi, chief economist for Moody's Analytics, suggested that the gains in the report might "overstate the strength" of that market. Still, Mr. Zandi noted that vacation-home sales account for one-fifth of all home sales and "that should more or less rise over the next five to 10 years" as the income and number of vacation-home buyers increases. The Realtor association's survey found that buyers last year had median household income of $94,380, up from $85,600 in 2013. The number of buyers is likely to grow in the years ahead as 76 million-plus baby boomers advance in age and buy vacation homes that eventually will become retirement homes. Meanwhile, the prospect of rising prices has spurred buyers to act sooner than later. Rates on 30-year, fixed-rate mortgages, which have hovered below 4% since November, are poised to rise later this year as the Federal Reserve increases short-term rates. And median resale prices on all homes, which increased by 7.5% from a year ago to $202,600 in February, are likely to rise further if the overall inventory of homes available for sale remains tight. Kris Anderson, team leader with Your Premier Team at ReMax Excalibur in Scottsdale, Ariz., said her team of six agents handled 10% more vacation-home transactions last year than in 2013. Most buyers are purchasing properties to live in for a few months a year before moving into them full-time in retirement a few years later. Many are buying now to avoid higher prices and rates later, she said. Two of her agency's clients, Steven and Roberta Strader, bought a three-bedroom home in Surprise, Ariz., last month with the intent of spending up to five months a year in it. The couple, both 72 years old, split time between Arizona and Lacey, Wash.
Mr. Strader said the value of an Arizona condo that he and his wife bought in 2005 had risen enough to justify selling it this year and combining those proceeds with some stock-market gains to buy the house in Surprise for $225,000. "We felt that the market was strong enough that we could take some assets to spread around in more than just stocks," he said. At least part of last year's gain in vacation-home sales can be traced to more purchases of condominiums and townhomes as vacation properties, the Realtor association said. The survey found that more respondents bought condos (27%) or townhomes (18%) than in previous years. 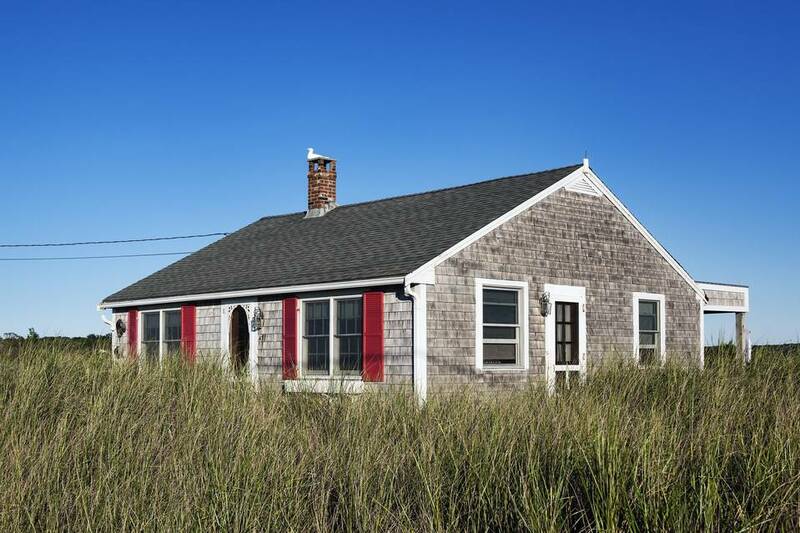 More purchases of such smaller vacation homes likely contributed to an 11.1% decline in the median price of vacation homes sold last year to $150,000 and a decline of 200 square feet in their median size to 1,500 square feet. Regionally, 46% of vacation homes bought last year were in the South, up from 41% in 2013. Elsewhere, 25% were purchased in the West, down from 28% in 2013; 15% in the Northeast, down from 18%; and 14% in the Midwest, unchanged from 2013. News Corp, owner of The Wall Street Journal, also owns Move Inc., which operates a website and mobile products for the National Association of Realtors.